I was feeling kind of bummed the other day because I realized I don’t have any more pool or beach vacay planned for the rest of the summer. Well can’t stay down for too long, since this means I gotta get to planning said vacay. Also, I’m lucky enough to have a great rooftop deck in my apartment building. So until my vacation dream becomes a reality, I’ll be laying out on my rooftop deck, having myself a little mini stay-cation. Outfit Combo: tank from from Nasty Gal, shorts from byCorpus, hat from Urban Outfitters, red bangle from Marc By Marc Jacobs, necklace, parable wedge sandals from Corso Como, USA totebag bag from Marc By Marc Jacobs. What a fabulous vacation bag! Love your chic summer look here! 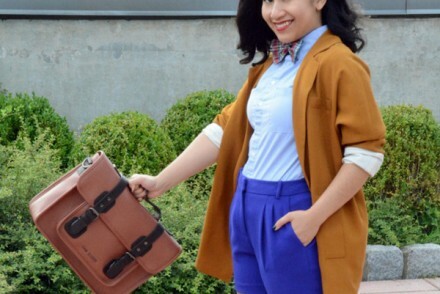 What an awesome outfit and that bag is to die for! The roof top makes a perfect spot for a photo shoot. Cute as a button!! Cute outfit! So summery :) Looks great! I love this pool bag! It is perfect for the pool or beach! I haven’t made it to the pool OR beach yet this summer, and I am dreaming of it! Great look for summer!! you are really pretty!! kisses!! 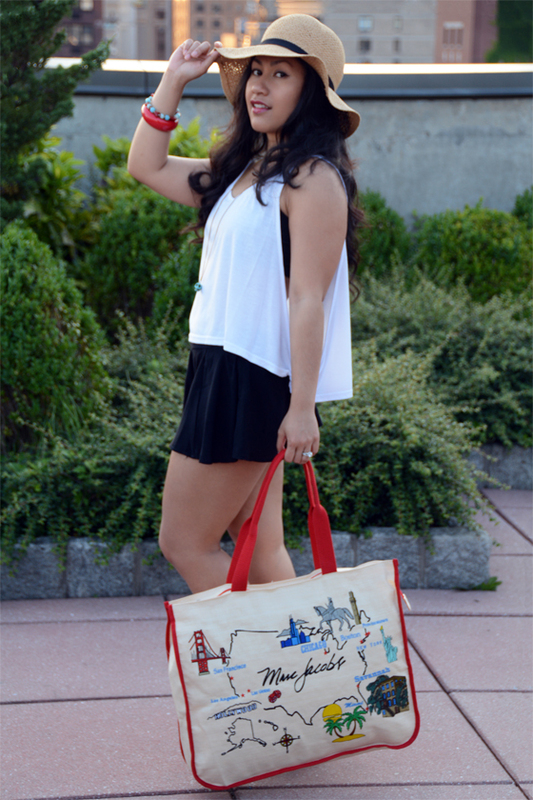 Obsessed with your tote, it’s perfect for summer! Rooftop sounds great, it must be nice to have a place to relax after a long day. Your outfit is lovely and you look great in it. 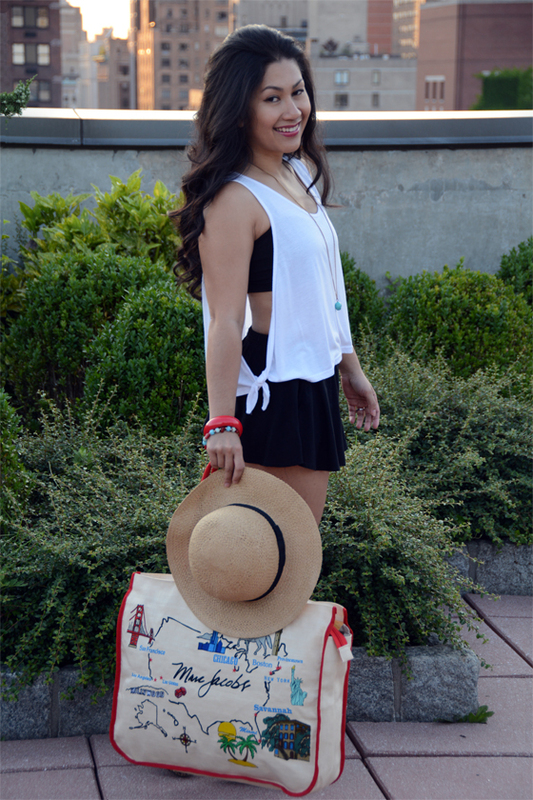 Love your tote and the floppy hat! Darling summer look! I am obsessed with that hat. It is soo good in every way! wow, super lovely look, and I love those march Jacobs tote1 I’ve always love March Jacobs totes. Kisses girls! Perfect summer look – you look so chic! The rooftop balcony sounds fabulous! This outfit is so sweet and so perfect for the hot days ahead! Great hat! you look lovely… nice outfit!